Sony Music Nashville Chairman & CEO Randy Goodman and Sony/ATV Music Publishing Nashville President/CEO Troy Tomlinson head up the smiling faces toasting the No. 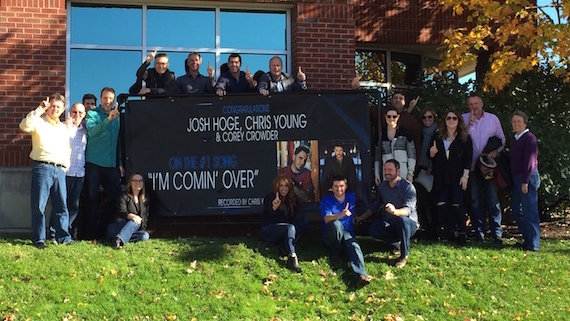 1 airplay success of Chris Young’s “I’m Comin’ Over” outside the Sony/ATV office. The song was co-written by Josh Hoge, Young, and Corey Crowder. Pictured (standing, L-R): Sony/ATV’s Dale Dodson, Terry Wakefield, Duff Berschback, and Tom Luteran; Goodman; Sony Music Nashville’s Steve Hodges and Ken Robold; Tomlinson; and Sony Music Nashville’s Taylor Lindsey, Jim Catino, Lesly Simon, Margaret Tomlin, Keith Gale, and Angie Magill; (seated, L-R): Sony/ATV’s Abbey Adams, Hannah Williams, Ed Williams, and Josh Van Valkenburg. 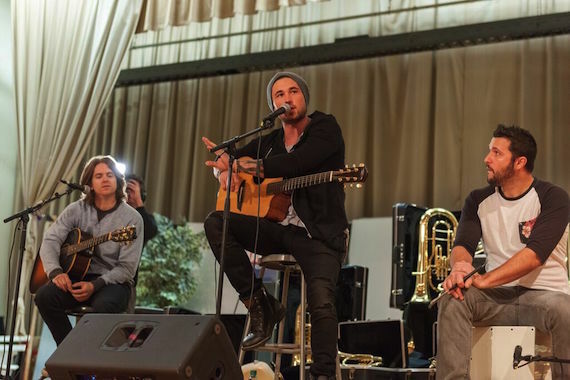 StubHub and The Mr.Holland’s Opus Foundation surprised nearly 600 students and staff of Nashville’s Hunters Lane High School with an instrument donation valued at $39,000 along with a special performance by country artist, Michael Ray. 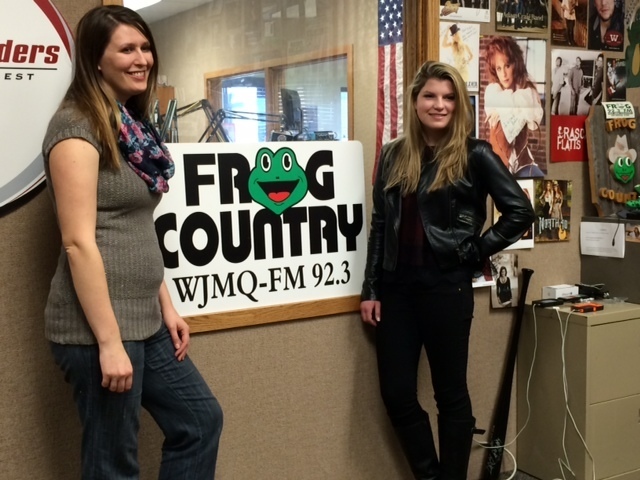 Allie Louise (Sixth Beat Productions), is setting the stage for the release of her self-titled debut EP. 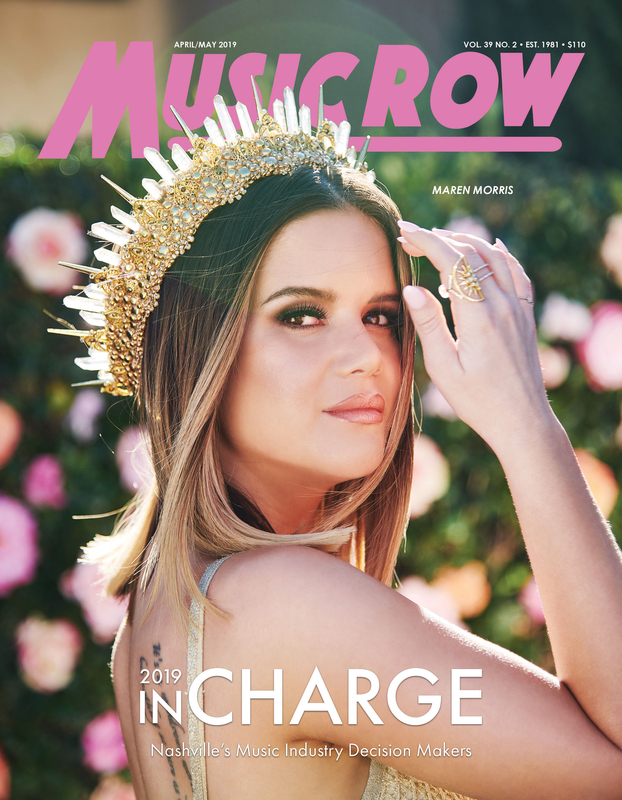 The sixteen-year-old launched her first radio tour and set out on its first leg to introduce her current single, “Perfect Storm,” from the six-song project, due in mid-January with producers Eddie Gore, John Jaszez and Doug Kahan. 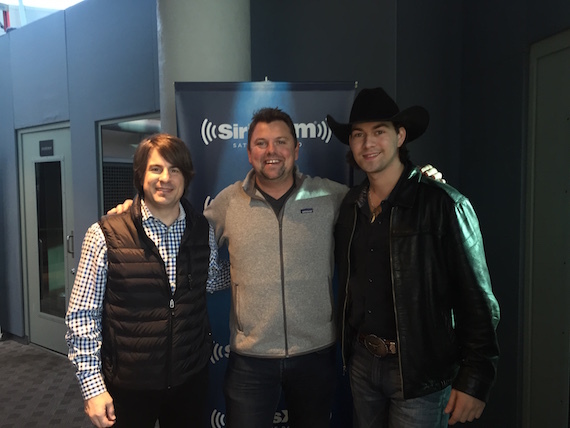 William Michael Morgan stopped by Sirius XM recently to talk with Storme Warren about his debut single “I Met a Girl” hitting No. 1 on “The Highway” countdown.